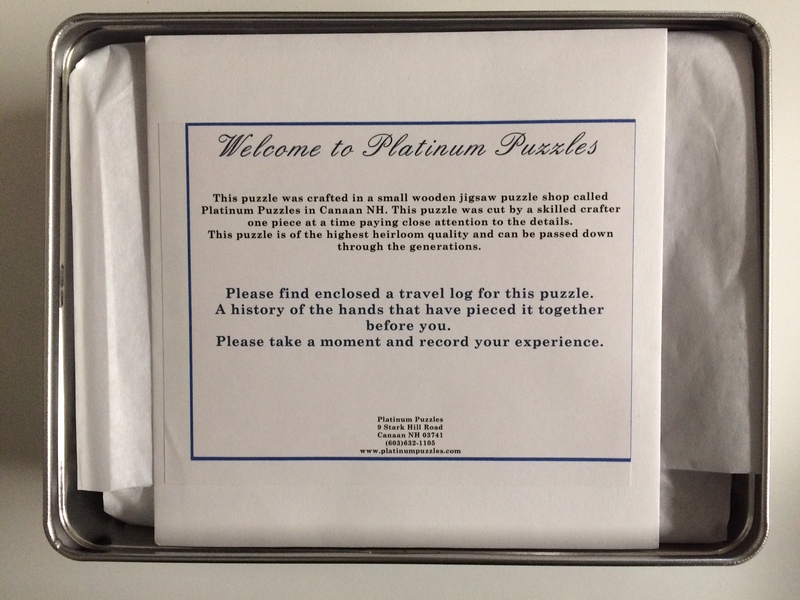 Platinum Puzzles prides itself on top quality and gives the Puzzler an experience in the same way puzzles were first introduced back in the old days. By that I mean the 'sense' of a vintage puzzle. 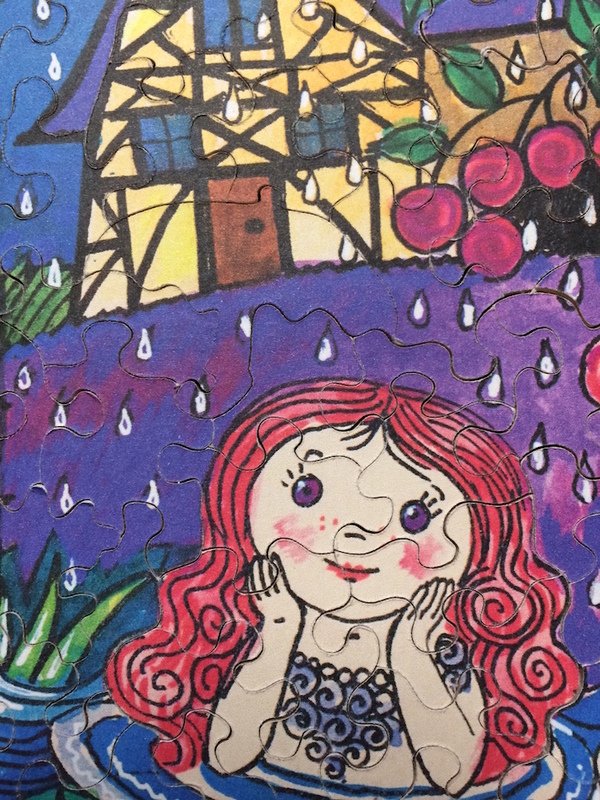 The puzzle Title was hand-written as were the number of pieces. 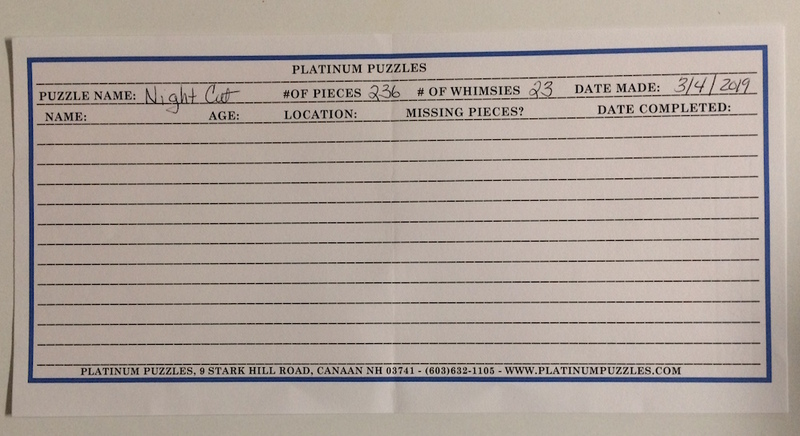 Inside the envelope is a sheet of paper that shares the details about the puzzle such as the Title of the puzzle, number of pieces, date made and how many whimsies. 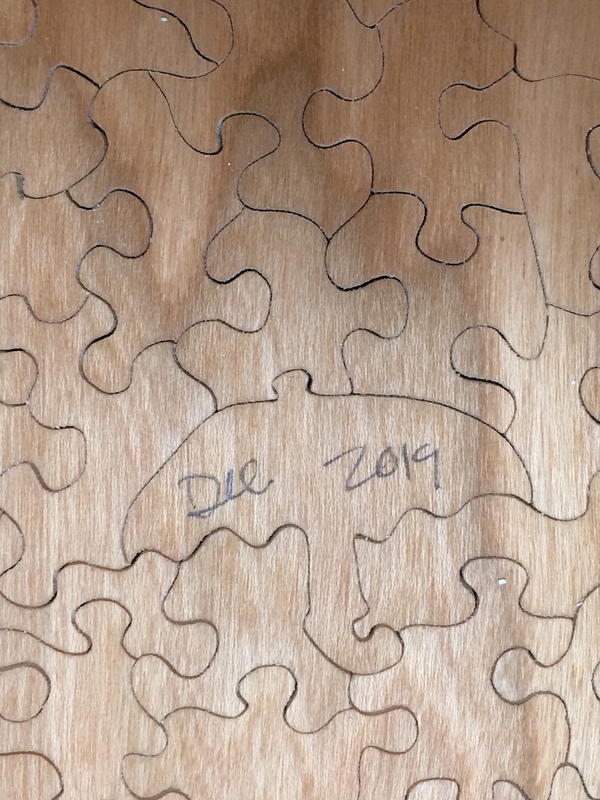 The rest of the sheet is for record keeping of Puzzlers who have assembled the puzzle once it moves onto the next Puzzler; name, age, location, missing pieces and date completed. 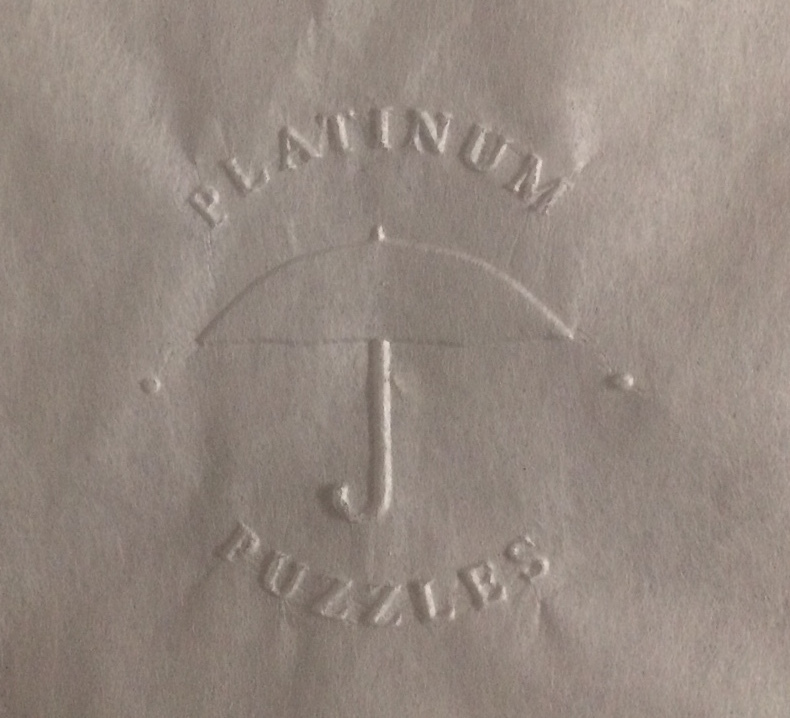 Inside the box, the wood pieces are wrapped in soft white tissue paper and you will instantly see the Platinum Puzzle seal imprinted on the top sheet. You will see how perfectly the tissue paper is folded around all the pieces. 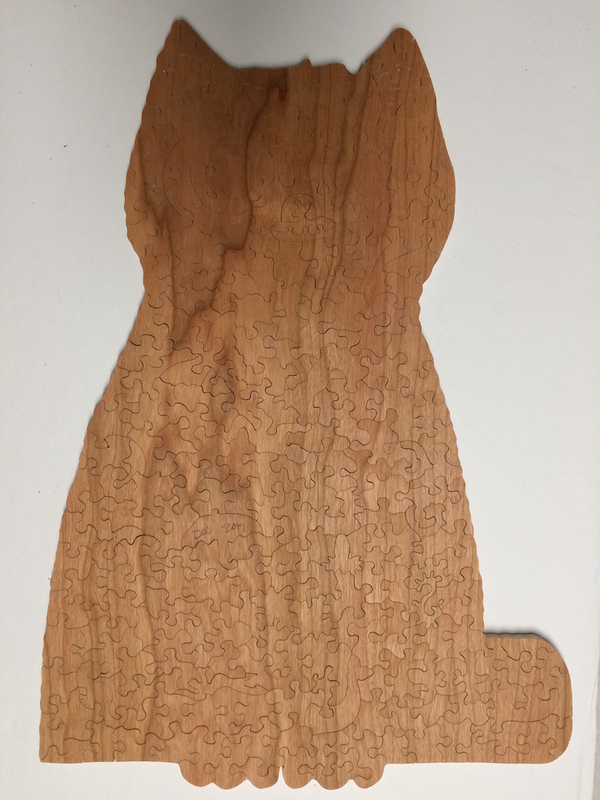 Finally, when you lift the tissue paper you will be delighted to see the lovely cut wooden pieces made of quality 5 ply cherry wood that are surprisingly light and are various shapes and sizes. 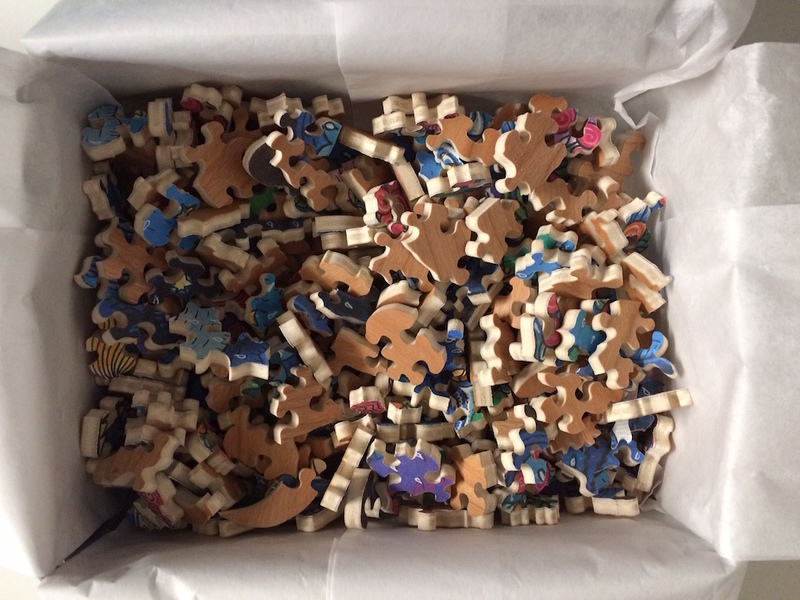 I did not due my usual sorting routine because this is 236 pieces which laid out nicely onto the foam board. There is no picture to go by and the Title refers to Night Cut which doesn't give me much of a clue. If you look closely at the image to the right you will see several of the 23 whimsies. 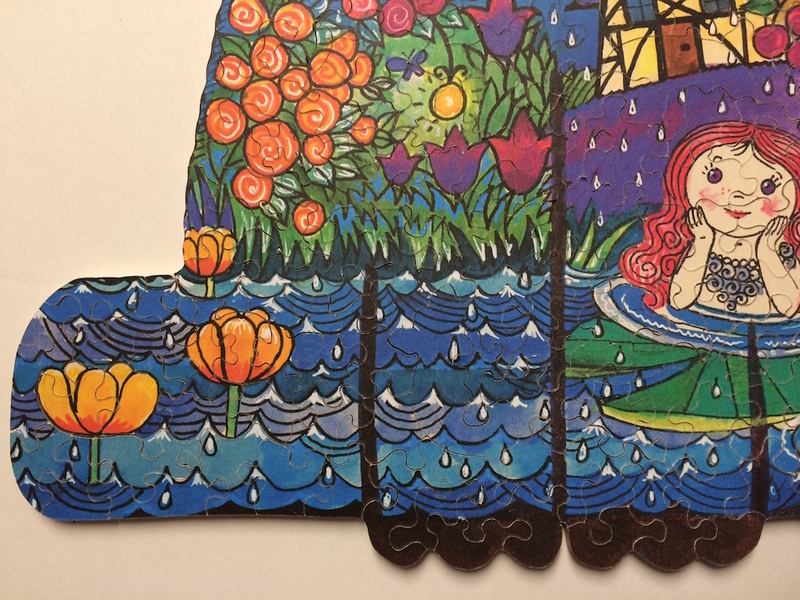 There is no way to determine the border so I started to match colors and colored patterns because matching pieces is not an option here. 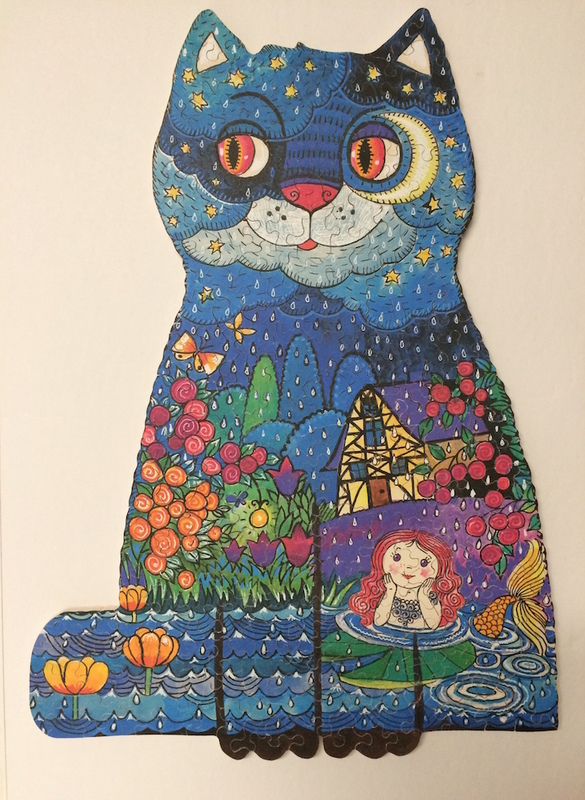 Eventually some of the pieces started to give me clues, like there's cats eyes, a mermaid, some flowers, a house and I see water. 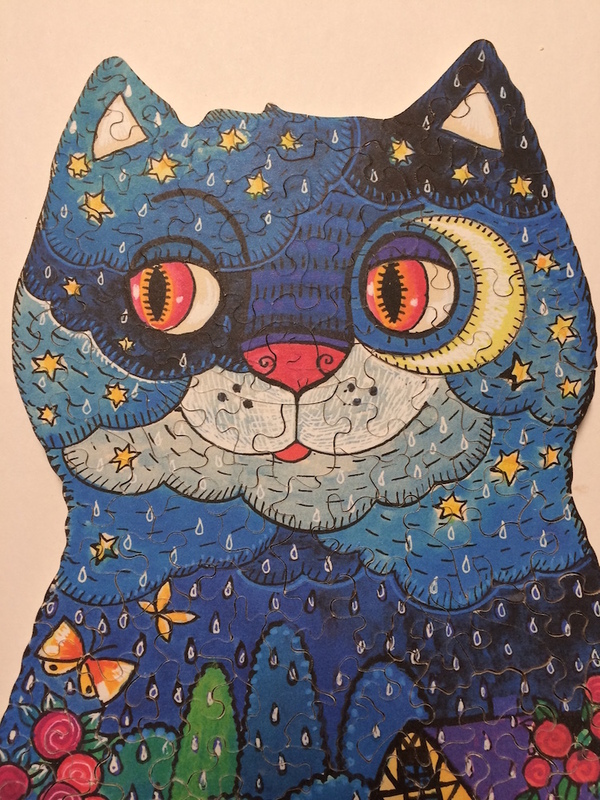 As I continued it became clear this was going to be the shape of a cat with colorful painted details inside. 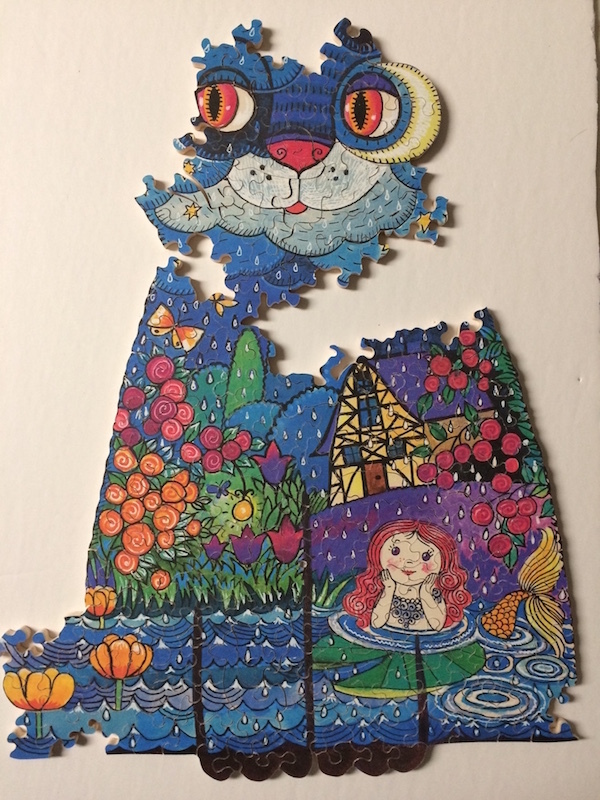 I had to use 2 sheets due to the size of the puzzle and the sticker sheets. I traced the outline of the Cat. I cut on the inside of my pencil line to make sure there was no overlap on the edges. 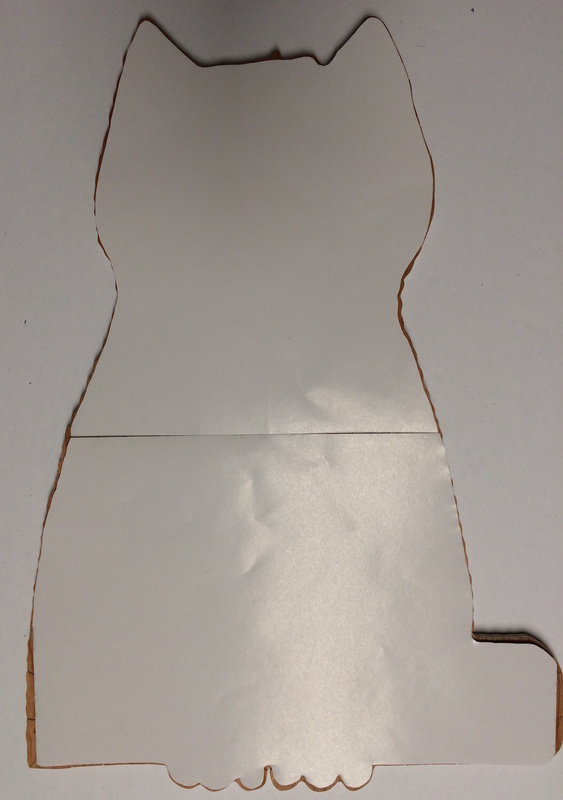 Then I peeled off the outer strips and placed the 2 cute patterns onto the back of the shaped Cat. The puzzle is not heavy so I used a 2-way wall hanger and DONE! It looks great on the wall. 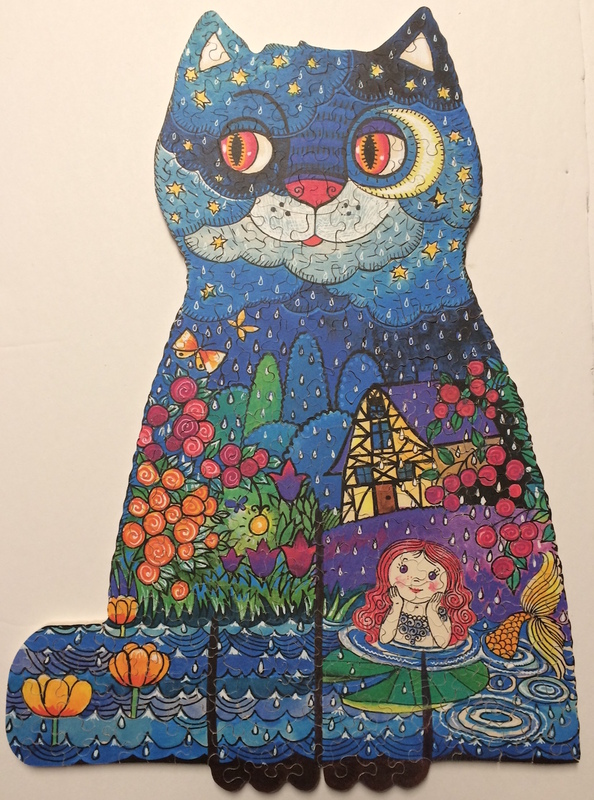 Brand: Platinum Puzzles, Title: Night Cut, By: Diane (Dee) Rogers, Artist: Oxana Zaika, Size: 10.5” x 14.5”, Pieces: 236, 23 whimsies. Hanging on the wall. 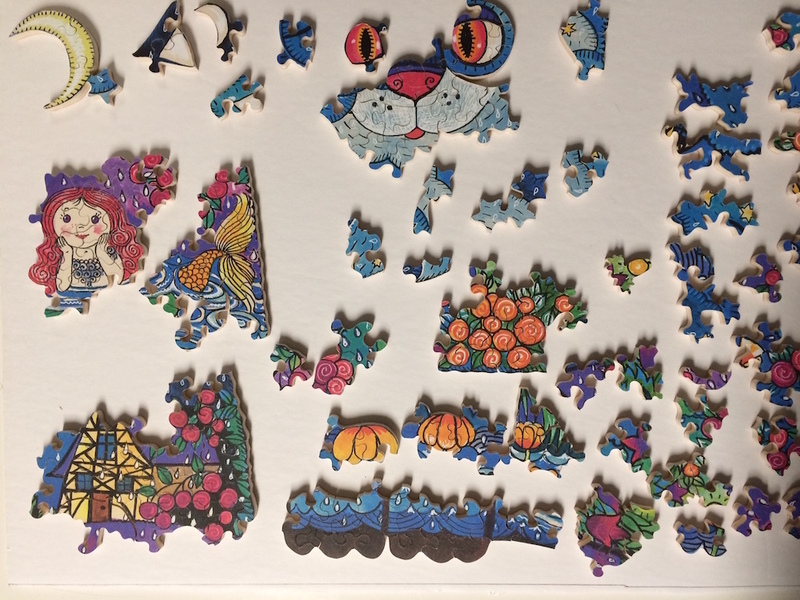 I have always been impressed with the puzzles cut by Dee Rogers in our Jigsaw Puzzle Connections Facebook Group. She has shared some of the most amazing images and extremely beautiful shaped cuts. 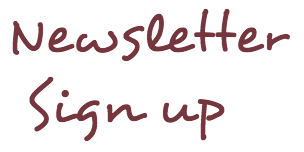 Clearly the quality is outstanding just by seeing and feeling the smoothness of each piece. 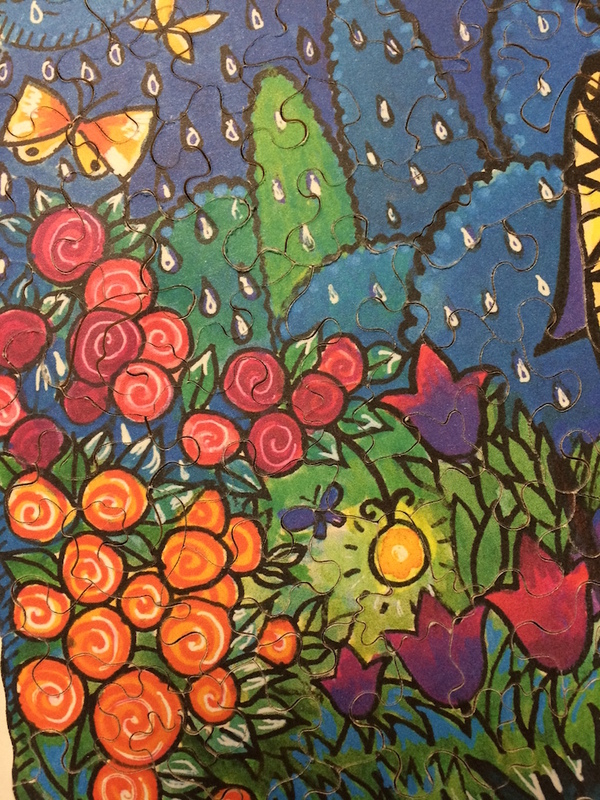 There was zero puzzle dust and the pieces have such a nice, smooth feel to them. 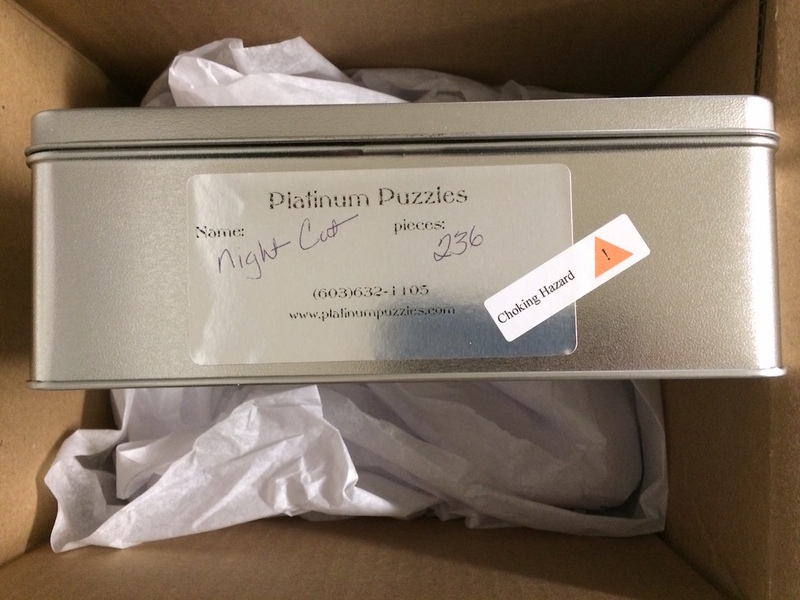 When you browse the Platinum Puzzles website you will see some of the most outstanding custom cut puzzles which are quite difficult to assemble - that is their goal. The 'cut' IS the Art and they certainly have achieved that! You can also watch a TV-News video interview to see how it's made and many challenging puzzle images in their workshop studio. 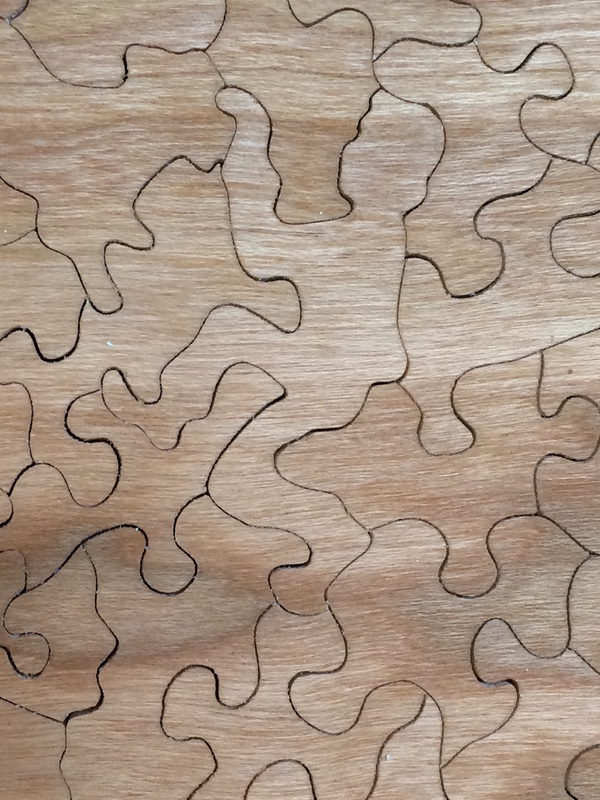 I have to admit - the experience with this wood-cut Platinum Puzzle is outstanding compared to the traditional board puzzles I am accustomed to assembling and it really does give you a sense of 'vintage'. 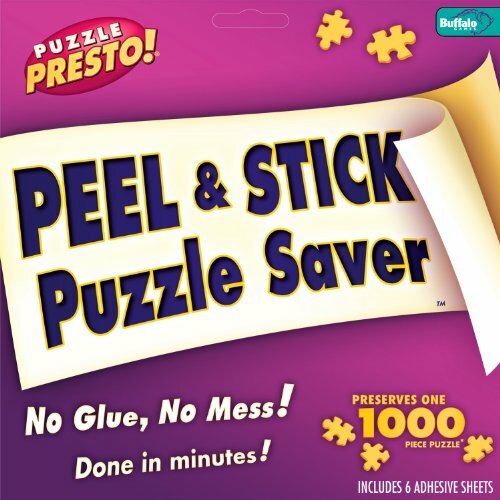 I highly recommend this brand to those who are looking for uniqueness in a puzzle, a gift for a Puzzler or are interested in having an image cut that is extremely challenging.